by august it is all about the shade. 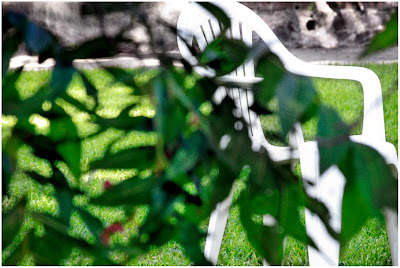 this morning: cheap plastic chair against all that green. today is the first day of susannah's annual august break. she was instagramming before instagram even existed. Love. I always love your view of the world. Summer has been hot and humid but I love all the green.